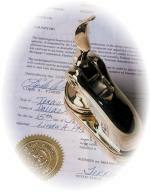 Notary public service is available free of charge to Palatine Township residents in the Front Office. Please bring a photo ID that also shows your signature (for example: driver’s license, state ID or passport). We will happily notarize any documents except real estate transfers.